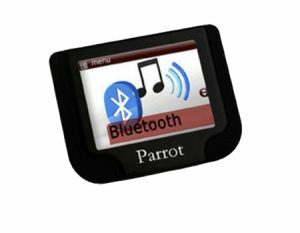 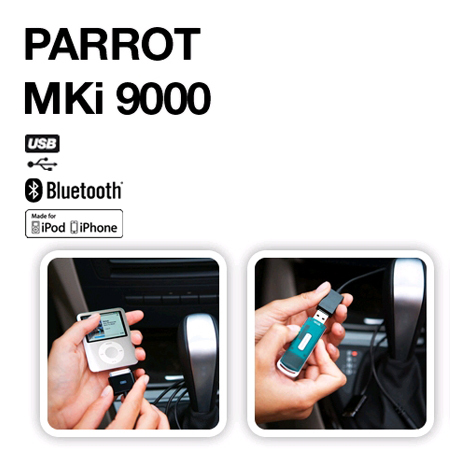 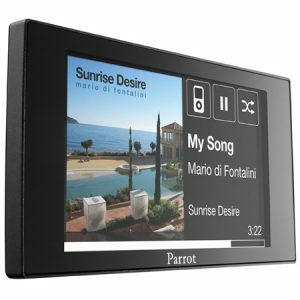 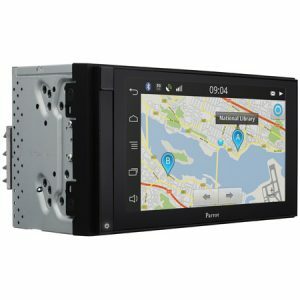 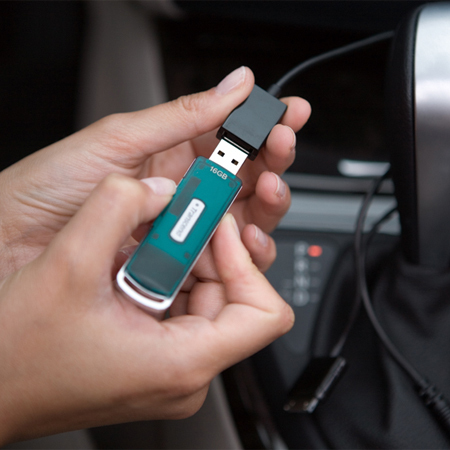 The Parrot MKi9000 is a Bluetooth screen less hands-free system that blends in seamlessly inside any vehicle. 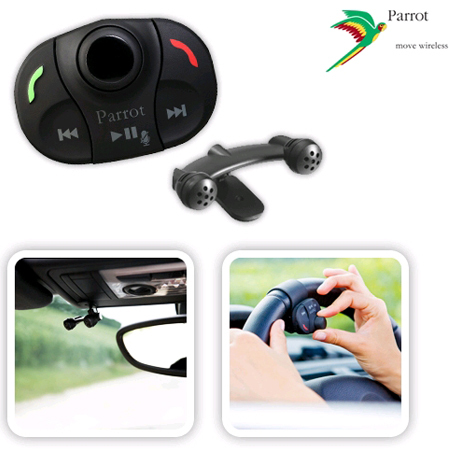 A wireless remote control can be positioned on the steering wheel or dashboard and allows the driver to control all the functions of the MKi9000. 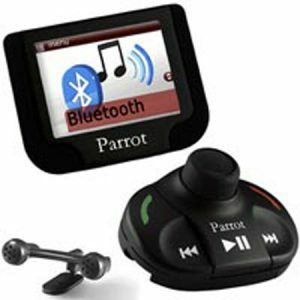 Music is delivered through all the car’s speakers*, giving the driver and passengers exceptional sound quality and the breath-taking effects (Virtual SuperBass). 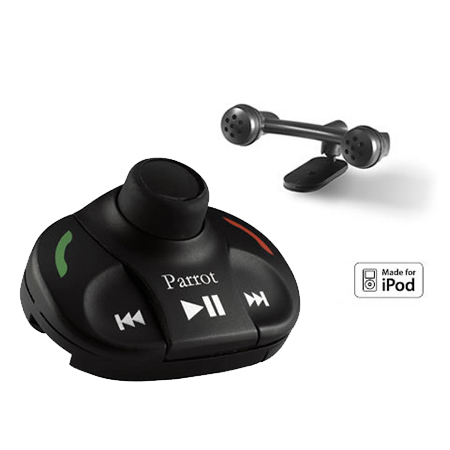 To ensure optimal audio quality when on the phone, the Parrot MKi9000 combines double microphone technology with new signal processing software (DSP-3) that eliminates background and surrounding noise, including noise from inside the car. 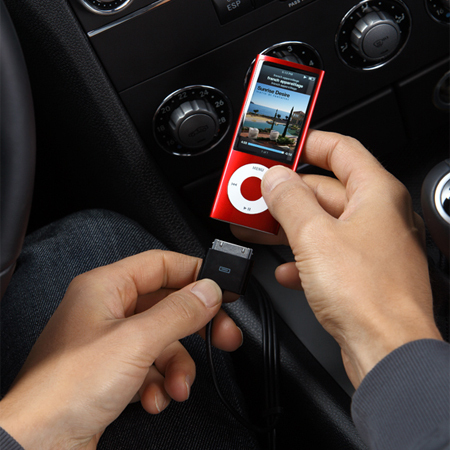 For maximum listening quality, conversations are reproduced over the vehicle’s speakers.